Microsoft released build 14332 for both Windows 10 PC and Mobile a few days ago. The main purpose of the build is to collect some additional user feedback through the new Bug Bash, but there’s much more to talk about in the new build than these Bash quests. Microsoft released its common list of reported problems, but apparently the company didn’t list enough.Users reported a high number of issues in the last few days, and in this article, we’re going to address these issues, and see if we can solve any of them. Since this build is available on both Windows 10 Windows 10 Mobile, we’re going to talk about problems on both platforms in this report. It became a tradition here at Windows Report to start our problem reporting articles with with a report about failed build installation. Some users complained on Microsoft’s Community forums that they’re unable to download and install the latest Windows 10 Preview build. Unfortunately, Microsoft’s engineers didn’t have a proper solution for this problem. So, if you’re facing this issue too, we recommend you running a WUReset script. Let us know if the script helped to get the new build installed. Microsoft introduced Photo reminders with the previous build, but apparently, the new feature is not working for all Insiders. Some users reached community forums, and said that they’re unable to set up a reminder with Cortana in build 14332. Being unable to set up reminders in Cortana in not the only problem, as users also reported other crashes and bugs. 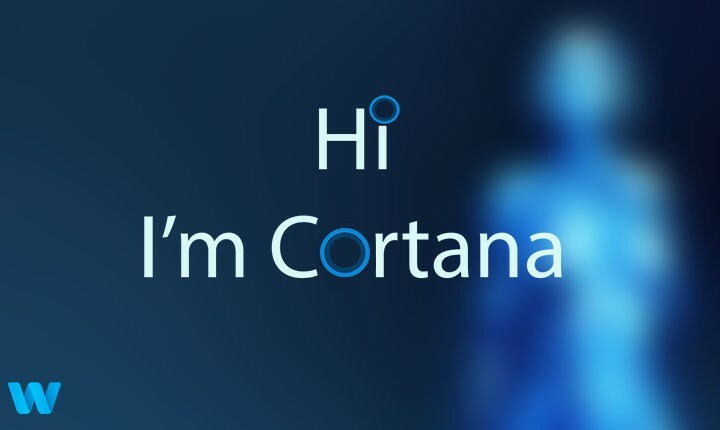 However, a lot of users answered, saying that Cortana works fine for them, so we assume this issue is not widespread. The solution for this problem is simple resetting of Groove Music from Windows 10 settings. We already talked about resetting apps in Windows 10, so if you want to find out more, go check this article. Some users also reported BSOD problems upon installing the latest build. “Critical error encountered when updating from 14328 to 14332. blue screen during upgrade and after reboot.” We still don’t have a proper solution for this problem, but we noticed that this is the third consecutive Windows 10 Preview build that causes blue screen problems to Insiders, so Microsoft definitely needs to do something about that. There are even some problems from the previous build that are still present in this release. Reportedly, Microsoft Edge still crashes for some Insiders, as said on Microsoft’s forums. For this problem we also recommend resetting Microsoft Edge, the same method as for Groove music, we mentioned above. Microsoft slightly redesigned the taskbar by removing the File Explorer icon, but it looks like users have some additional problems with the ‘new’ taskbar. Namely, one user reported that Multiple desktops icon is missing from his taskbar. But just like many times before, no one had a proper solution, so we hope Microsoft will fix it in the next release. That’s all for Windows 10 Preview build 14332 reported issues we found so far. But the build was released for Windows 10 Mobile, as well, and it also caused some problems to users who installed it. Even though users reported a few problems in Windows 10 Mobile, the number of issues is still very low, which is good. This means that Microsoft finally started to provide more stable builds for Windows 10 Mobile, and we hope the future builds won’t cause a lot of problems to Insiders. Microsoft recognized the problem, and dedicated a thread on the forums to this issue. So, if you’re facing this problem as well, check out this post on the Community forums. Another problem, which we can characterize as a minor one, is the problem with flash in Windows 10 Mobile’s camera app. “With build 14332, my camera (Lumia 535DS ) is working fine, but the flash feature is not enabled, any solution to switch it on/off?” Unfortunately, neither us or Microsoft engineers have a proper solution for this issue, so if you know what’s going on, please share it with us in the comments. That’s it for our problem report article for build 14322. In case you encountered some problems we didn’t include in this article, make sure to let us know.